The main beach of Agios Georgios is known for its scenic coastline with a few outcropped ridges and a smooth coast with calm blue waters. Many umbrellas and lounge chairs are available for rent and you will often find a range of activities taking place here too. Many small shacks and taverns line the beach and offer drinks and food. Carry beach essentials including sunscreen, beach towels and a change of clothes if you want to. How popular is Agios Georgios Beach? 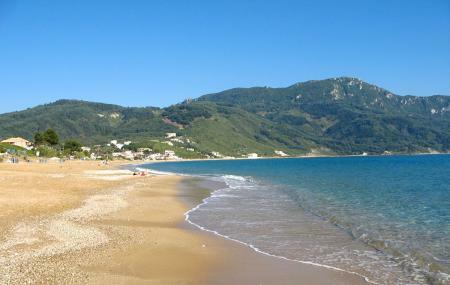 People normally club together Canal D'amour and Palaiokastritsa Beach while planning their visit to Agios Georgios Beach. Nice long sandy beach at the bottom of the long main Street ,unfortunatly the free car parks are at the top. Although there are a few spaces near the beach.